PAWTUCKET, R.I. -- Among the pitchers in Pawtucket's loaded, all-prospect rotation early this season, Brandon Workman now appears to have solidified a spot in Boston's rotation, Rubby De La Rosa impressed in his time in the majors, and Allen Webster has pitched well enough to earn another shot at the big leagues. 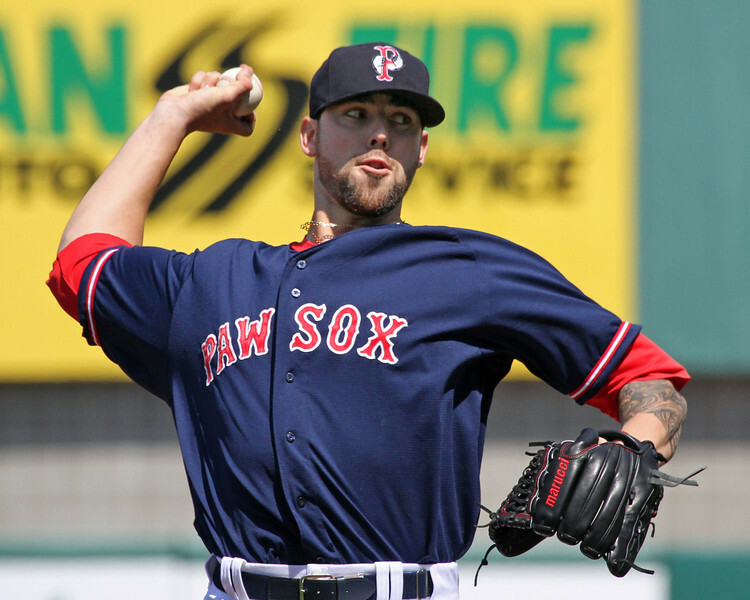 But it is another member of the PawSox rotation who is having perhaps the best season of them all to this point: Right-hander Anthony Ranaudo continues to quietly shut down opposing offenses, and he showed why Monday night in Pawtucket with seven scoreless innings. "The fastball was explosive out of his hand, and he was able to utilize a mix," Pawtucket manager Kevin Boles said after the outing. "He left some pitches up, but then he was able to execute. When he was behind in the count, he showed some good execution and was able to get back into the count. He threw some decent breaking balls. I thought the hand speed with the changeup was good. [He was] aggressive. He's really come a long ways."